Ruby Has Fulfillment is honored to announce they have been selected by Inc. 5000 as one of the fastest growing companies in 2018. 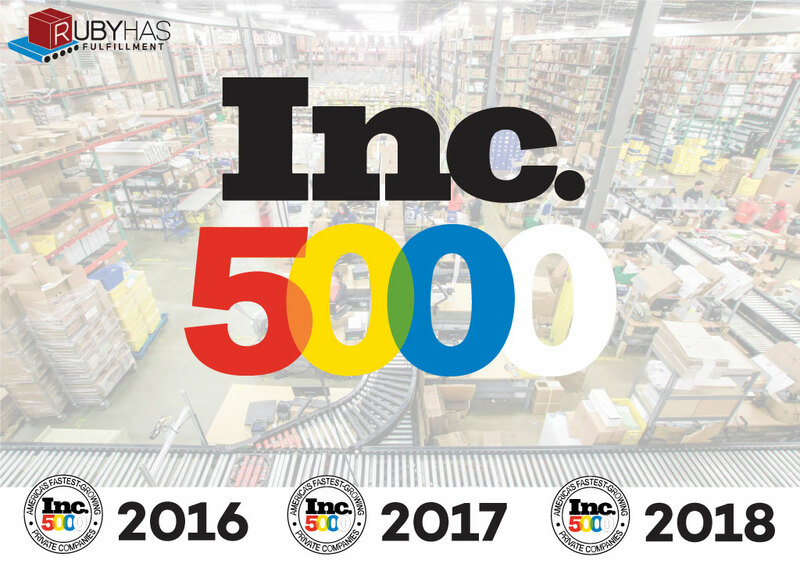 This marks the third consecutive year Inc. 5000 has acknowledged the ecommerce fulfillment company for its explosive growth. With integrations to all major platforms including Shopify, Magento, WooCommerce, and state of the art fulfillment centers in New York, New Jersey, Nevada and Toronto fueled by innovation, technology and world-class processes, Ruby Has Fulfillment has shown triple digit growth year over year and is expected to continue its steep growth curve with exponential revenue increase in the years ahead. Ruby Has provides direct-to-consumer ecommerce brands including Thinx, Oatly, Apex, Unbound, Koio and more with complete fulfillment services, including turnkey ecommerce solutions, fully-featured integration, secure warehousing and storage, and call center services to provide direct customer service, and in some areas provides same day fulfillment. “It is our mission to provide a seamless experience for each and every order to all clients and their customers, large or small – that’s the secret to our unparalleled retention rate – we delight our customers so that in turn they can delight their customers; Our customization, precision and quality are second to none. That’s been our hallmark since the first days of our business and we are uncompromising in not only maintaining, but improving, innovating and automating continuously as we scale,” says CEO Rafael Zakinov. “While other fulfillment companies fall apart when a customer starts to scale, we shine. When the number of orders suddenly surge, we are still fulfilling our clients’ brand promises for on time, precise and highly customized delivery. It’s going to be the biggest ecommerce holiday season in history. Smart companies are rightly concerned about fulfillment and are flocking to us in record numbers with a well-founded sense of urgency,” says President and COO, Esther Kestenbaum. Beginning as a small company built by ecommerce executives for ecommerce, Ruby Has Fulfillment has grown to hundreds of employees and clients. With end-to-end support, Ruby Has Fulfillment provides clients the services they need while saving them money. According to the company, clients have saved up to 45% on shipping costs alone. Market trends, including the shift to direct-to-consumer brands, are driving unprecedented numbers of companies to seek out the best of breed in third party logistics. Ruby Has serves some of today’s most sought after and fastest growing direct-to-consumer brands, and has grown by word of mouth as ecommerce executives tell one another about their stellar fulfillment experience.